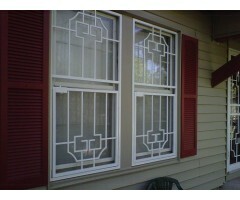 These geometric window grills finished in white to match the front door, created a beautiful design detail to the home's overall look while adding security at the same time. .. 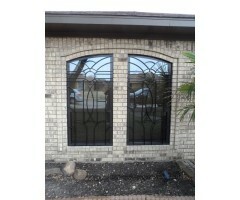 The slight arch on these adjoining windows allowed us to be crative linking the two together with the design. ..